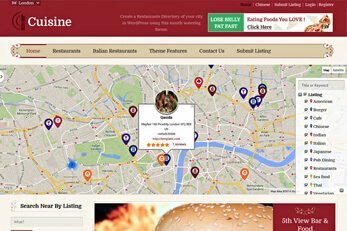 Create a powerful and responsive restaurants directory with the stylish Cuisine Restaurant Directory WordPress theme. 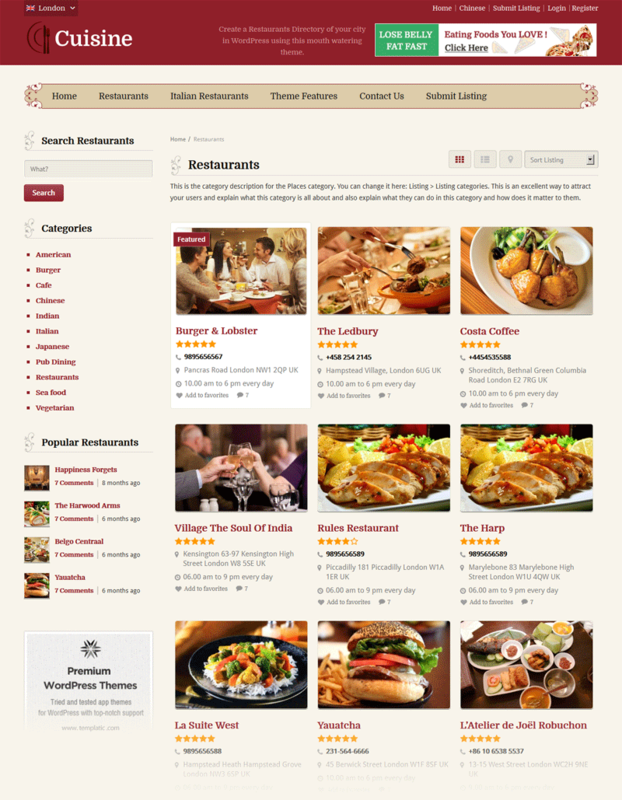 The Cuisine theme is your best choice if you’re looking to build an amazing directory for restaurants in WordPress. 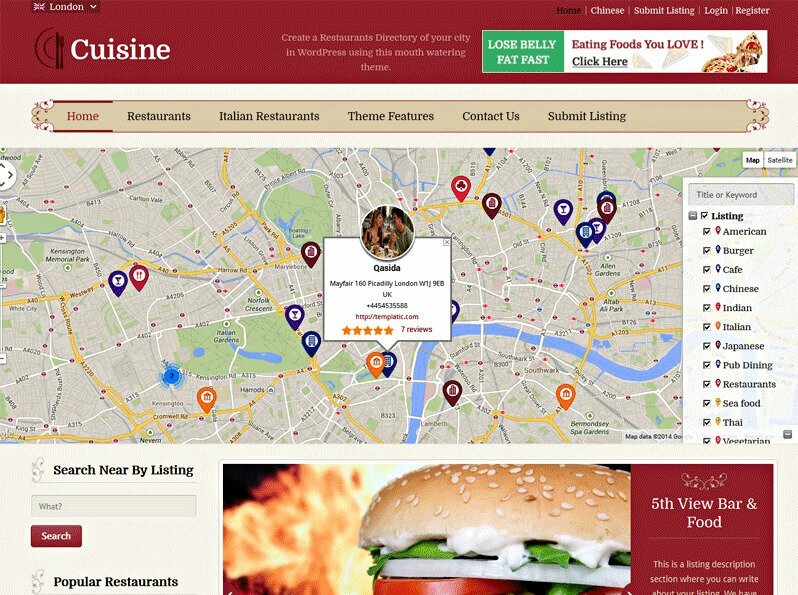 This feature-packed restaurant directory theme comes with “Easy Install” and sample content. Adding Cuisine’s sample content is done in seconds and it makes your website like the demo. 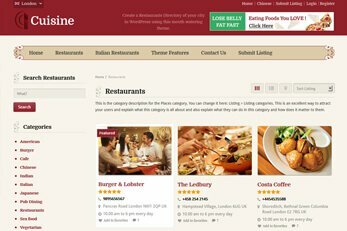 Whether you’re launching a directory for pizza restaurants, Chinese, Indian, Italian, Mexican food or all of those and more, Cuisine is highly customizable. You can Add your own categories, new fields submission packages and change all the text if you like. 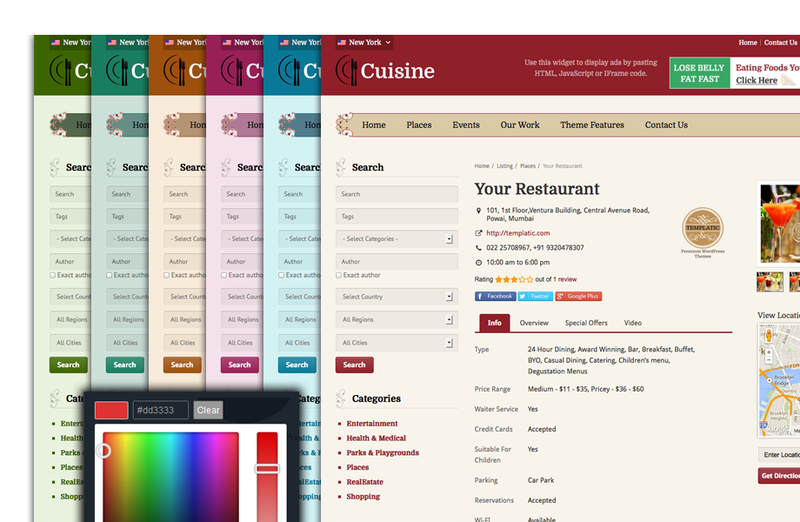 Cuisine is a child theme for one of the most powerful CMS platforms out there, our Directory theme. 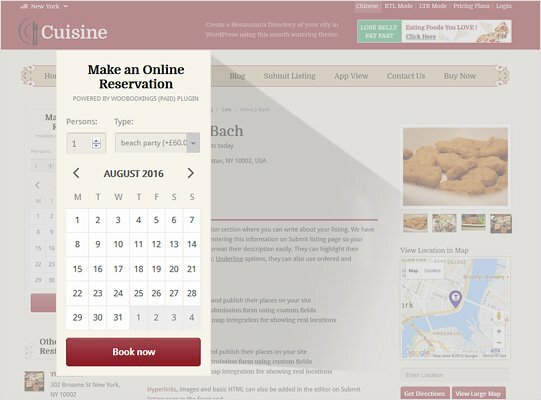 In case you have already purchased Directory, installing cuisine will completely alter the look and feel of your website and make it look like the Cuisine demo. Looking for a new theme for restaurant Directories? Cuisine is your answer. The Standard or Developer license give you Cuisine as it looks and works on its demo. 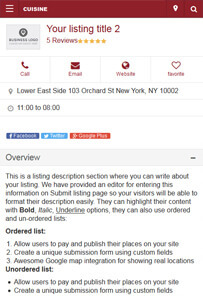 Get yourself one powerful restaurant directory which is full of built-in features , SEO friendly, comes with a mobile version and is very easy to customize for any food directory, location or local currency. This stylish and feature-packed restaurant listings directory theme is responsive but that’s not all. Cuisine also comes with a mobile app view for minimal view on mobile devices. As admin you have the choice of whether you want to activate the mobile app view or not, the theme is responsive even with it switched off. What the mobile version looks like is a simplified view which makes your restaurant reviews and ratings directory very easy to navigate on mobiles. See how your restaurant directory will look on mobiles now visit theme demo. 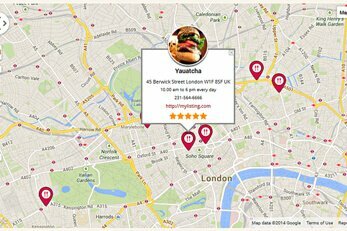 A powerful searchable homepage map which acts like a restaurant finder system. 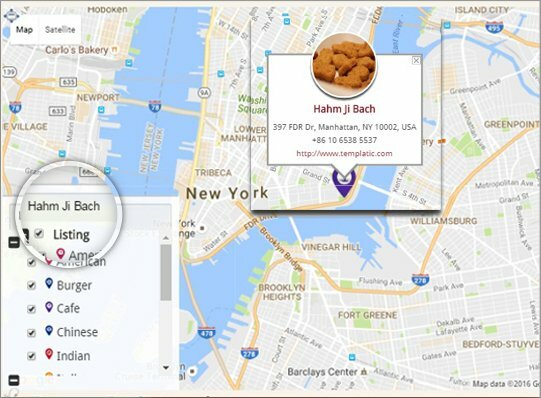 The map shows all the restuarant, categories and users can also use its search option to find restaurant. This also applies if you’ll be using Directory as a theme for hotels, parks, restaurants, properties etc. 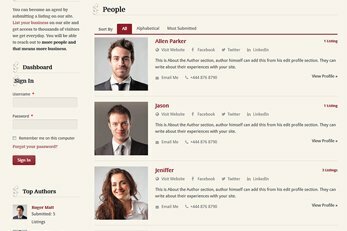 In order to make the directory seem more authentic, new custom fields such as Price Range, Waiter Service, Suitable for Children, Parking, Wi-Fi and more. Instead of showing the description first, detail pages will first show the custom fields related to the listing and make the description available as a separate tab. 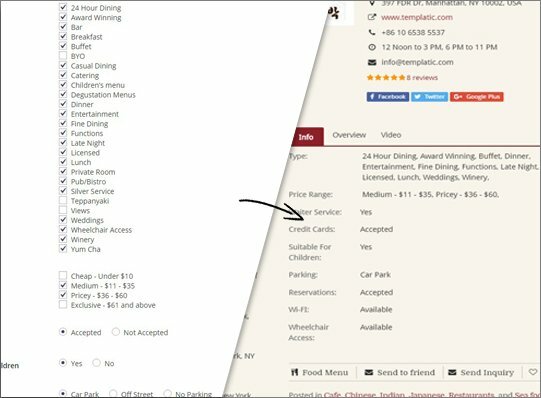 Every Restaurant can have their menu available online with listing information. Homepage banner area can be used in threeways. 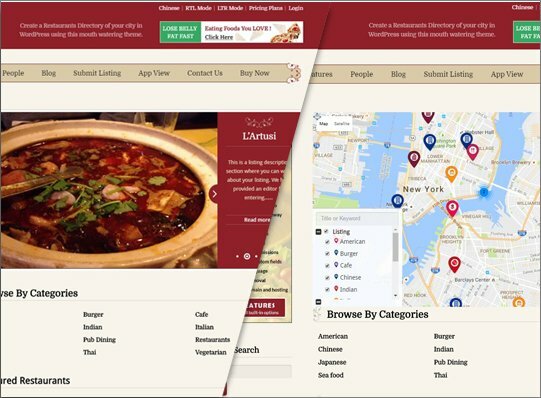 You can place a beautiful image slider with custom images, Image slider to show restaurants category wise or you can place a Map which shows all the restaurants available. 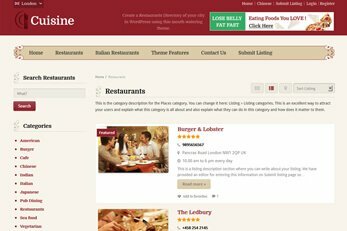 So you’re using WordPress to build a directory for restaurants, bistros, cafes, coffee shops, food companies, fine food, steak houses, takeaway/take out restaurants, organic food outlets or all of these together? No problem… we have just the perfect solution for you. Cuisine is designed to let you make money from listing submissions no matter what food business you use it for. All you have to do is to input the listing categories you need, configure your locations, create your submission packages and you’re ready to earn from your directory. As well as our other WordPress directory themes Cuisine is SEO optimized and coded with best of the SEO practices. 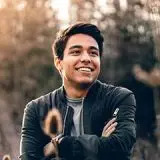 This powerful theme is compatible with some of the most popular plugins for SEO like Yoast SEO, All In One SEO, Google XML Sitemaps and All In One Schema.org Rich Snippets. 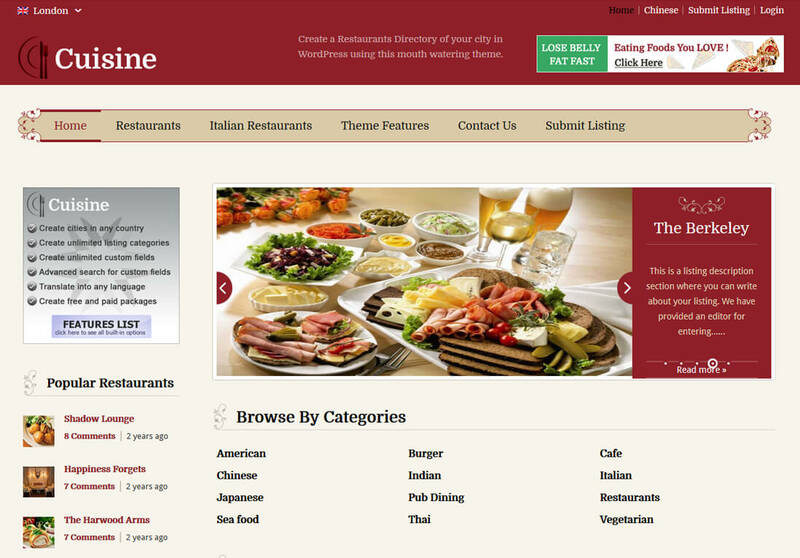 Make your online restaurant directory website easily found online with the Cuisine theme. 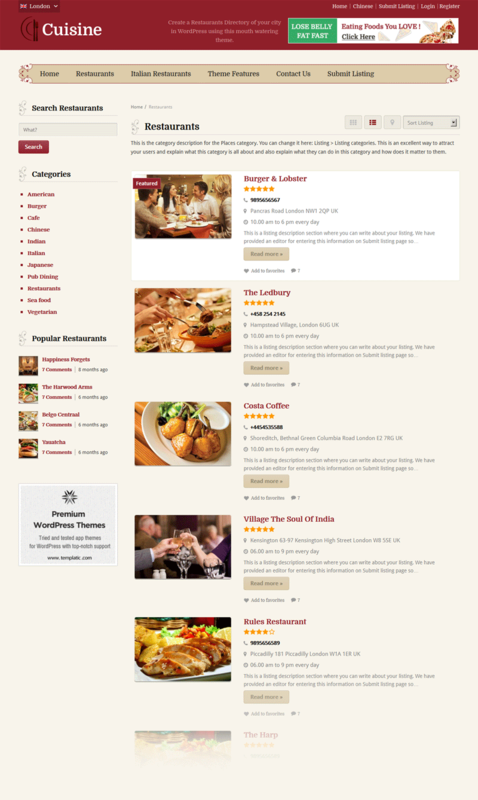 You can use this powerful WP restaurant directory theme in any language you like. Cuisine comes with .Po files which you can apply your translation on to replace English. 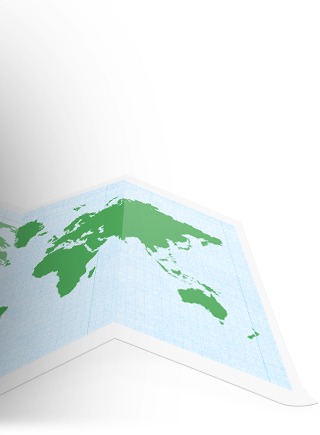 Need to launch your restaurants directory in multiple languages too? No problem, this theme works with the popular WPML plugin. 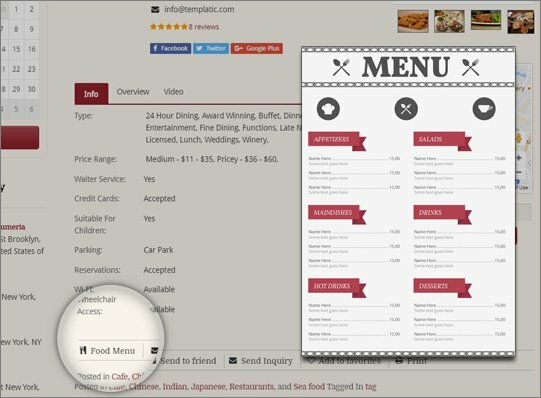 This great plugin lets you translate the theme into different languages from which your users can pick from when searching for restaurants or submitting listings on your website. Some of the features that make Directory Theme Platform the most powerful among all. Use our free plugin to import or export listings or cities to your restaurants directory website. This tool works in .CSV format. Use the theme’s comprehensive admin dashboard to control all aspects of your restaurants directory. Manage and add listings as admin from the back-end. 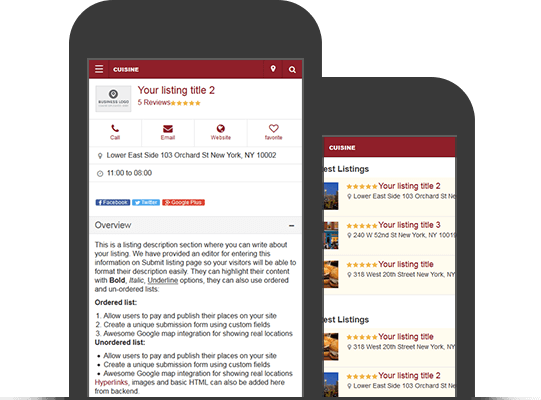 Users can submit and manage their own listings fro the front-end. Cuisine comes with many powerful search options. Many search options including category smart advanced search. Many Google Maps to choose from and as Directory, Cuisine also comes with the homepage map if you need it. Edit the theme’s fields and add new ones too. 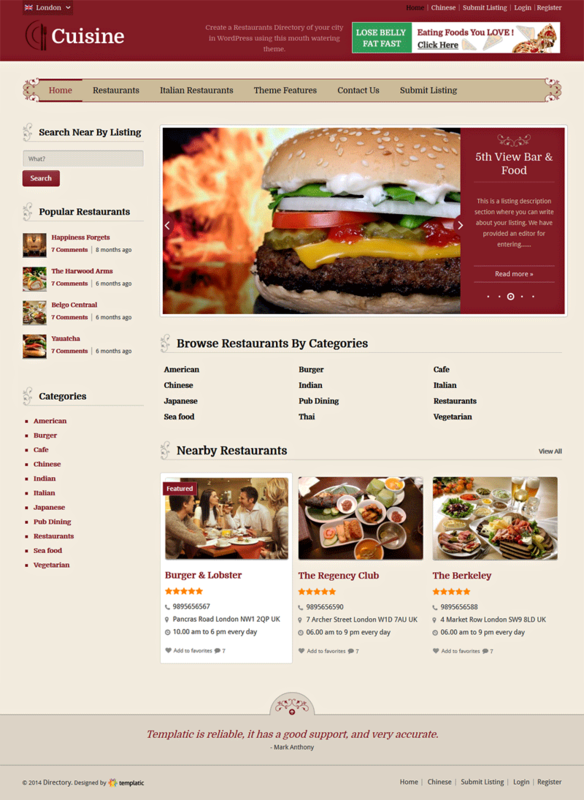 Build your restaurant directory the way you want it with many fields types to choose from. You can Enable/disable user registrations. Manage all your users and their listing from the dashboard. 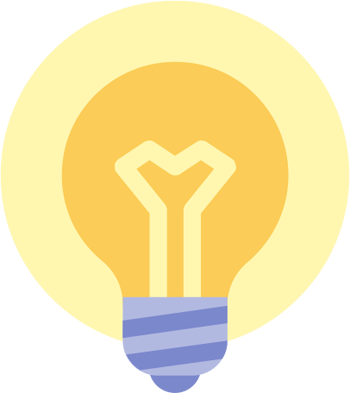 Each user gets a user dashboard to mange their account and listings. Needless to say, this is not linked to admin. Cuisine includes a powerful listing rating and reviews system. 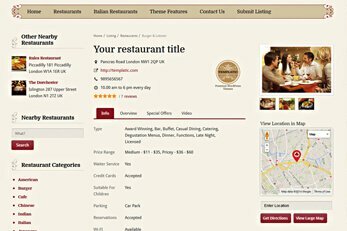 Ideal for any restaurant directory portal websites. Many email notifications come with this theme. You can edit all of the templates straight from your admin dashboard. Change the color scheme to achieve the style and look you like for your directory. We have put together a huge collection of resources for our Directory themes platform like free add-ons, list of compatible third party plugins, theme and plugin guides, 75+ tutorials and a lot more. The cuisine is designed to offer you endless options for what you can use it for. 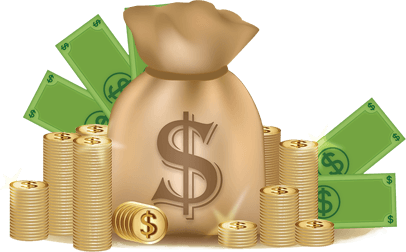 Create your own categories, submission form fields, free or paid listing packages and make money online. This is an ideal theme for restaurants, cafes, bistros, diners, fast food restaurants, bakeries, grills, any food business or for them all. 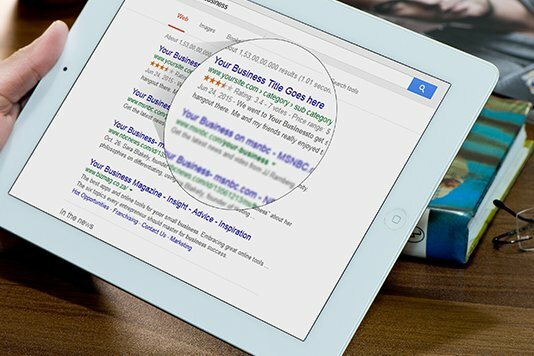 This stylish template can also be used for any niche directory where you can use the included advanced search widget with search by criteria and it can also show category smart fields. 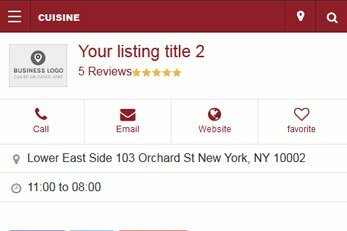 The powerful search options allow you to add searchable custom fields making Cuisine suitable as a listings theme for an almost niche, not just for restaurants. Cuisine also comes with its built-in blog. 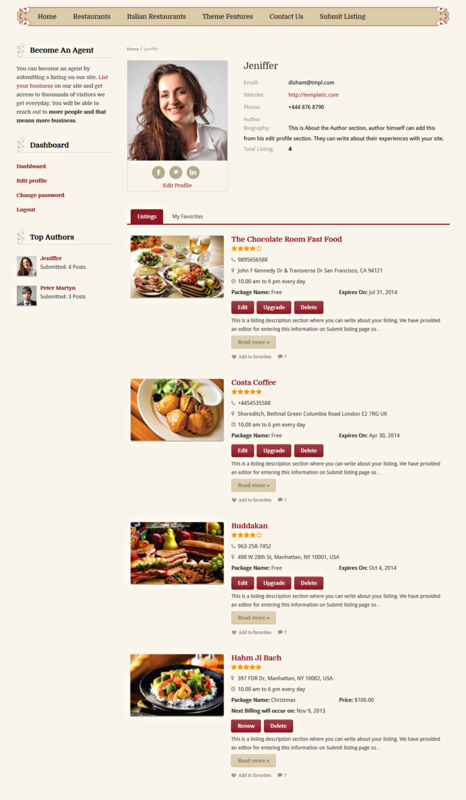 You can even use Cuisine as WordPress food blog theme if you like, you don’t have to show listings on the frontpage. 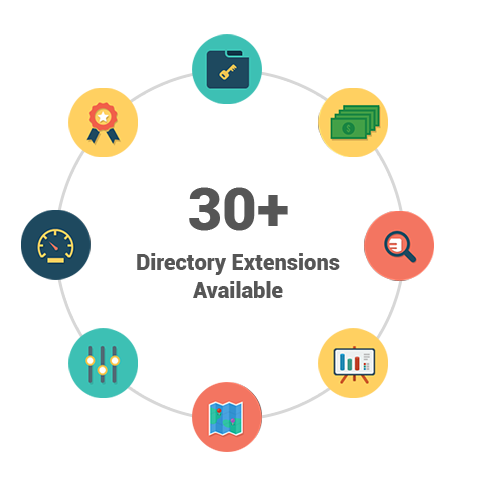 As well as all of the theme’s built-in features you can purchase any of the 30+ optional add-on plugins available and extend the functionalities of your restaurants directory site. 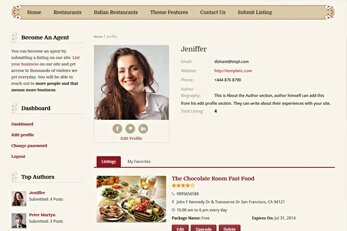 Use the powerful plugin with this restaurants directory WordPress theme to manage content on your website with an intuitive front-end editor. You can create beautiful looking web pages without changing a single line of code. Use the built-in skin builder to change design elements and the styling of your website. This awesome page builder lets you create complex layouts of your pages and posts with a simple drag-n-drop interface. Best of all, the visual composer lets you create new page content which is fully responsive too. Need to offer a powerful reservation and booking system on your dining directory? The PayPal payment gateway is included with the Cuisine theme. That’s not all, you also have the choice of 15+ compatible paid payment gateway plugins. These optional add-ons help you accept payments for listing submission with more of some of the other popular payment gateways. I use several of the Templatic themes and really love the time it saves me in development. The theme has gorgeous layout and support is excellent in all themes I have used. I am very happy with templatic and highly recommend them. Looking to start a online restaurants directory? 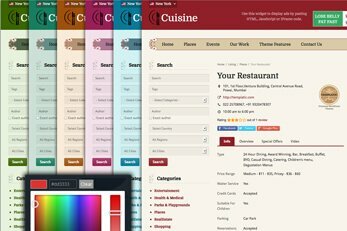 Cuisine comes with loads of search features and packages making it the ideal restaurant directory theme available today. 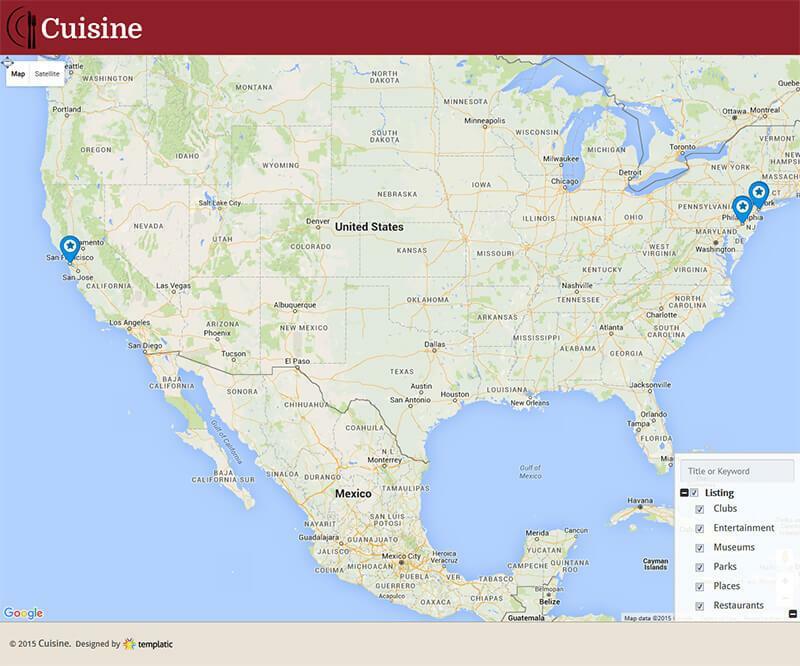 Cuisine is ideal for single or multi-city directories. Start yours today.